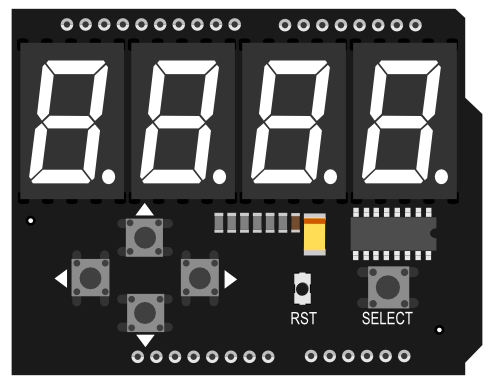 The LED Keypad Shield is an Arduino expansion shield with a 4 digit 8 segment digital tube display (common cathode). It has 5 buttons that can be used as menu select buttons or control buttons. It uses I2C to drive the digital tube for an easy user experience. Please install the following libraries for this code to function. LedKeypad Arduino library About Library installation. 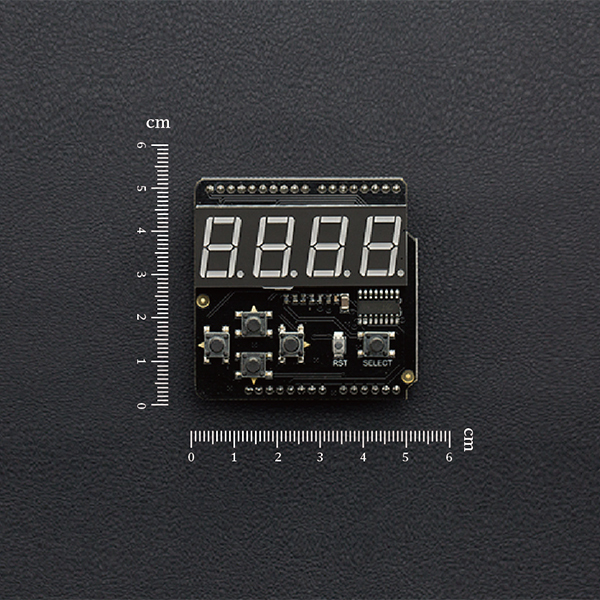 Get 7 Segment LED Keypad Shield For Arduino from DFRobot Store or DFRobot Distributor.